This nature name sounds like lots of traditional choices for girls, but it’s far rarer than Emma. 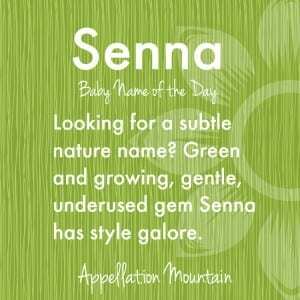 Thanks to Amanda for suggesting Senna as our Baby Name of the Day. You won’t find a flower called senna next to the gerbera daisies and roses, but it’s a plant, I promise you. In fact, it’s a whole genus of flowing plants, including shrubs and trees. They’re big in the tropics. 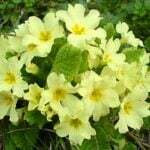 While there’s plenty of variation, the flowers are almost always yellow, which lends the name a cheerful vibe. 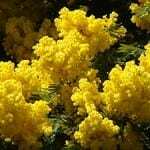 I can’t find much in the Victorian language of flowers about Senna – perhaps because it wasn’t widely available? But there was something called bladder-senna, which symbolized frivolous amusement. Another trivia point: the plants used to be considered part of the genus Cassia – the gorgeous, underused names just keep on coming! The name comes from the Arabic word sana. There’s an Arabic girls’ given name, Sana, which means splendor. I’m not certain they share the same roots, but it seems likely. 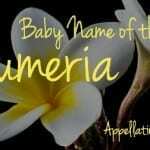 It’s been used as a name in very small numbers since the 1940s. It could have emerged spontaneously – two syllable, ends-in-a is an enduring formula for a girl’s name. Just like Jessa comes from Jessica and Jesse, Senna could owe something to names like Serena and Selena. There’s also the similar-sounding, but masculine Cinna. Cinna is a family name from ancient Rome. It’s attracted more attention thanks to a character in The Hunger Games universe. And while botanical names tend to lean feminine, maybe it’s Cinna’s influence that makes me think Senna could work for a boy, too. Or maybe it’s the late race car driver, Ayrton Senna, that raises this as a possibility for a boy. Senna has been given to at least five girls every year since 1991. There were 26 in 2012, two dozen in 2013. In 2014, there were 40 girls named Senna – a new high! Still, that’s far from common. Name your daughter Senna and you might have to repeat and even explain the name. We love a nature name, from bold, showy choices like Azalea to quieter ones, like bird-name Wren. 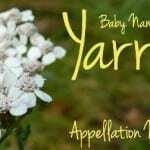 As mentioned above, two-syllable, ends-in-a names for girls have a long and enduring history, from current #1 Emma to up-and-comers like Jessa. We’re familiar with similar-sounding names. The current US Top 1000 includes Jenna, Kenna, and Brenna, plus McKenna and Sienna. Where are parents hearing Senna? 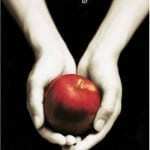 Towards the end of the Twilight series, there’s a vampire by the name who comes to Washington from the Amazon, an ally for Bella and Edward. She’s a minor character, though, so there’s little danger that Senna will be instantly recognized as a Twilight name. There’s also a character in the Avatar series by the name. She’s the mother of Korra. On a very different note, Lady Davina Windsor Lewis – 28th in line to the British throne – has a young daughter by the name. She’s 29th in line. All of this makes Senna just a little bit different – in a good way! 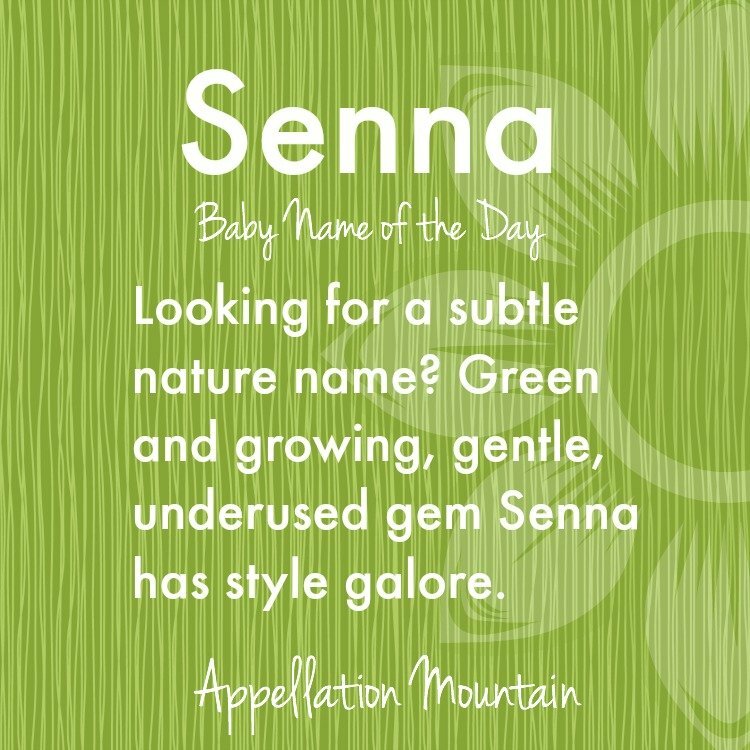 If you’re after a rare name with a restrained quality, Senna could be just the name for you. What do you think of Senna? Could this nature name catch on? Do you like it better for a boy or a girl? In the Netherlands it’s a very popular girls name. I first saw Senna in the title of a YA fantasy novel at the bookstore. I didn’t buy it, so I don’t remember the whole title anymore, but I liked it then and I like it now. Unfortunate about the laxative, though. I also immediately though “like Sienna” and I think that would cause confusion and much correction. I like the sound and the link to plants, although reading the comments that is unfortunate that it is still used as a laxative. I didn’t know about the drug, but I immediately thought the kid would be spouting, no, not Si-enna, just Senna, every time she was introduced. And always have her name misspelled by that one great -aunt who just never gets it. Senna is still widely used as a laxative today- virtually every patient who is on narcotics for any length of time is also on this to prevent constipation. Every medical professional, elderly person, and person who’s ever had major surgery is going to hear this name as a laxative. Exlax has that trendy X sound but you wouldn’t inflict it on a kid; senna is seriously just as bad. I like it although I immediately thought Sienna. This one is all laxative for me. I work at a hospital and nearly all my patients are on it. Nice sound though, but I can’t separate it from the poop. I really love this, thanks! I think my favorite “enna” name is Lenna, but this might be a close second.